Garut regency is a district area in West Java Province of Indonesia which has many interesting and beautiful sights. Letakanya directly adjacent to the Indian Ocean, Garut West Java has many beautiful beaches worth your visit such as Parangje Beach Coral, Beach Cijeruk Indah and so forth. In this article that will be discussed Garut Indonesia West Java Tourism, is the 7 Most Beautiful Beaches in Garut regency is obliged for you to visit with friends, friends or family. The Cijeruk Indah beach is the leading tourist object of Garut regency that is suitable for you to enjoy with family. The beach is located in the Village Segara Pameungpeuk District. 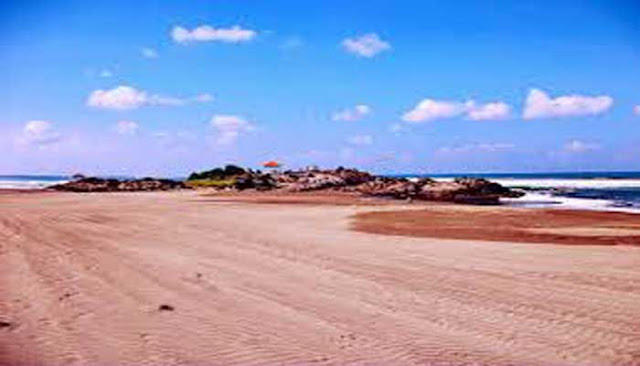 On this beach, you can do relaxing and swimming activities. Support facilities on this beach also have available various lodgings such as hotel Garut, villas and inns, clean water, parking areas, souvenir stalls and places of worship. The Parangje Karang Beach is one of the Most Beautiful Beach Garut West Java Indonesia that has not been developed into a tourist attraction. 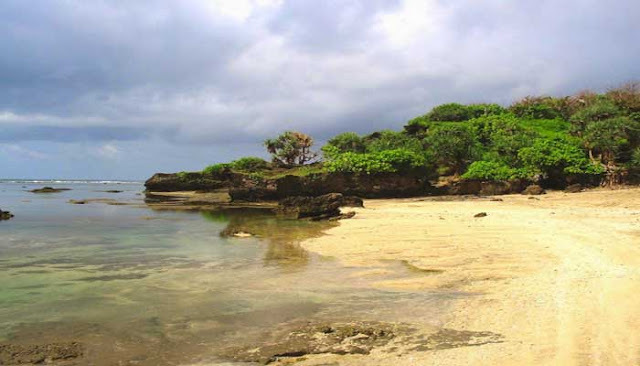 This clean and unspoiled beach is perfect for you to relax with your family. Clean white sand, clear sea water will make you comfortable and quiet vacation on this beautiful beach. Visit this beautiful, peaceful and peaceful Karang Paranje Beach with your friends, friends or family by doing beach activities such as boating, sunbathing, swimming, photography, sunset, spooning nook, water sports, and other beach activities. The Sayang Heulang beach is another coastal tourist attraction located in Mancagahar Village, Pameungpeuk District, Garut Regency, West Java Province, Indonesia. Beautiful beach nan this must you visit while on vacation in Garut Regency. With clean beaches, crystal clear sea water and beautiful natural beach panorama is perfect for your holiday and family. 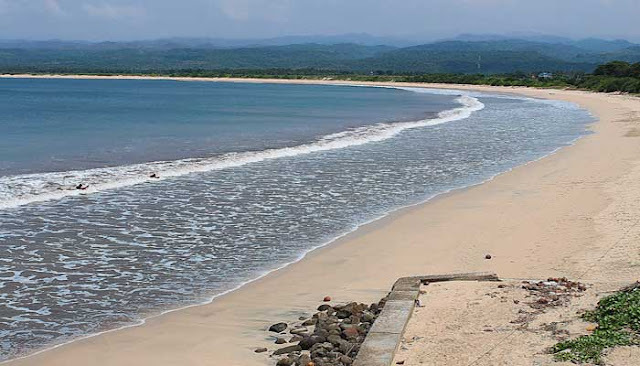 Rancabuaya Beach is also one of the Most Beautiful Beaches in Garut regency that is obligatory for you to visit. West Java Tourism which is located in Purbayani Village, Caringin District has a sloping coastline, clean sand beach, and clear sea water. In addition to enjoying the beauty of the beach, In this place, you can do the activities of hiking or tracking and enjoy the atmosphere of dusk with a panorama of a very amazing sunset over the horizon. Support facilities at Rancabuaya Beach are also quite complete. Here there are at least 22 villas, guesthouses, food stalls and souvenirs, large parking areas, baths, and mosque. The next Garut tourism is Manulusu Beach is one of the Most Beautiful Beach In Garut Regency which is located in the south of Garut City. This beach is still very quiet and away from the hustle and bustle of the city so you will be the comfortable and quiet vacation on this beach. The quiet beach with beautiful natural scenery, the stretch of sea sand and the steep cliffs along the coastline are the main attraction of Manulusu Beach. In addition to very comfortable as a place to relax, On this beach, you can enjoy marine life, camping or enjoying the many kinds of seafood available along the shoreline. The next Garut Indonesia tourism is White Sand Beach, The Geder Mountain which is the best beach tourism object owned by Garut Regency. Beautiful beach panorama, unique landscape is perfect for you to relax tired from the daily work routine. 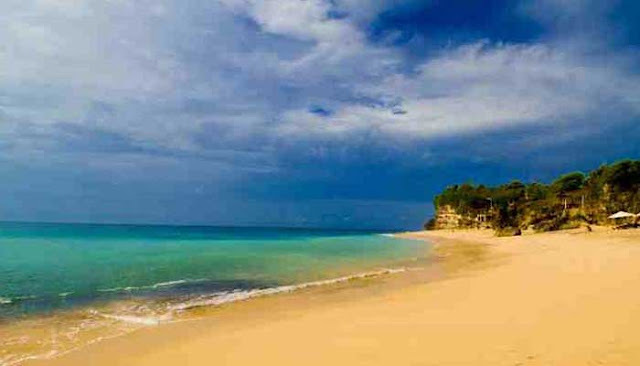 With access to Trans Jabar South, it is not difficult to visit this beautiful beach. 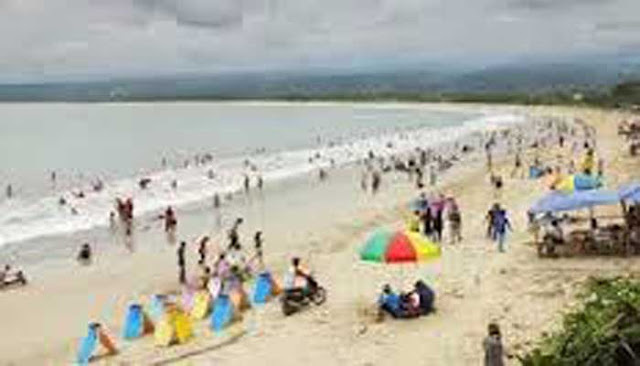 Santolo Beach is one of the most popular beaches in Garut Indonesia is visited by many tourists. 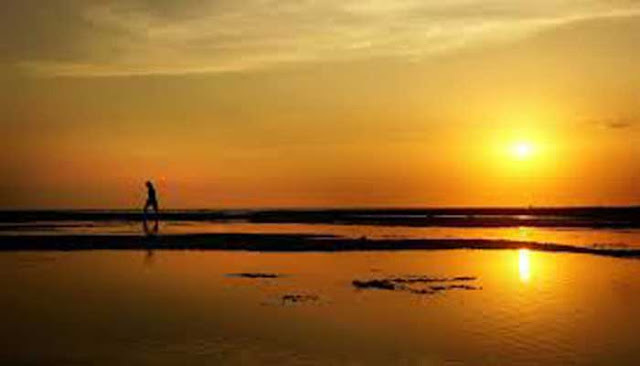 The beach is located in District Cikelet or is about 88 kilometers from the City of Garut. 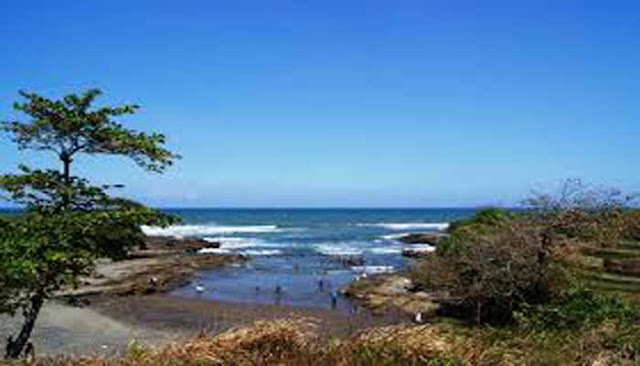 Enjoying panoramic beaches and marine life is a tourist activity that you can do in Santolo Beach. On this beach is also widely available boat rentals that serve tourists to enjoy the waves of the south is quite challenging. Serving the culinary of this beach is also quite available and supported by the number of lodging places such as hotels Garut, villas or guesthouses and souvenir kiosks. Well, that's West Java Tourism, especially in the region of Garut Indonesia is obligatory for you to visit with family. In addition to the Beach Tour, Garut also has many other tourist attractions that are not less beautiful with other areas in Indonesia such as Curug Orok, Curug Sanghyang Taraje, Papandayan Mountain, Darajad Crater, Bagendit Lake, Cangkuang Temple, Curug Cimandi RacunTalaga Bodas or tourist culinary that many found in the city of Garut. So from now on plan your holiday to Garut regency is very charming.